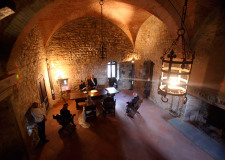 Castellina in Chianti is an ideal setting for people that love tranquility, the tradition and tastes of an antique culture. You will feel embraced by the perfume of the olive trees that are located just everywhere and the vineyards that cover the grounds. The village is located on the green hills of the Chianti region, and its origins are traced back to the Etruscan Age. 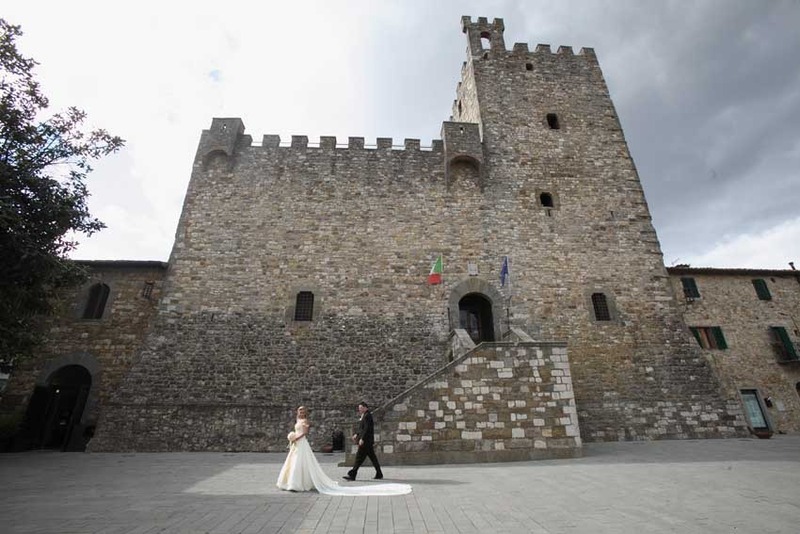 The heart of the village is characterized by the antique fortress constructed in 1500 by architect Giuliano da Sangallo, where the Marriage Hall has its location. All the village is pervaded by medieval influences. While walking along the narrow little roads you can feel the smell of food coming out of the local taverns, that offer typical Tuscan cuisine. 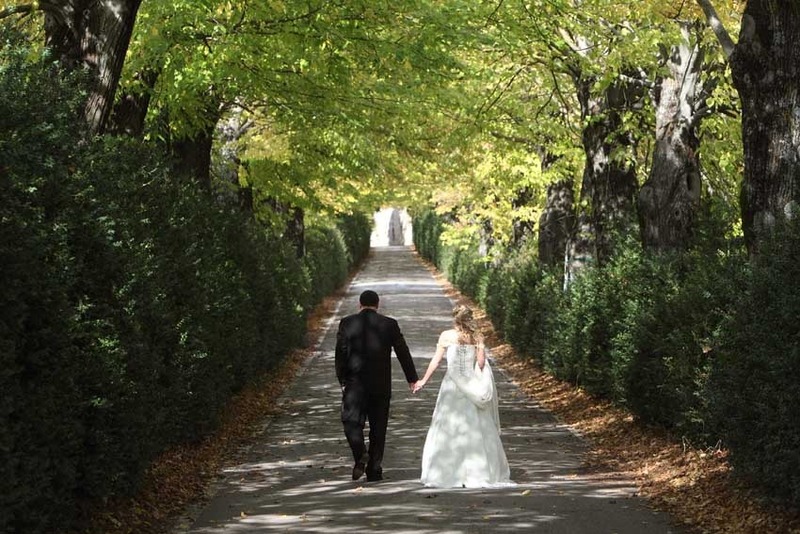 Just an ideal location for a wedding in a characteristic Chianti little village. 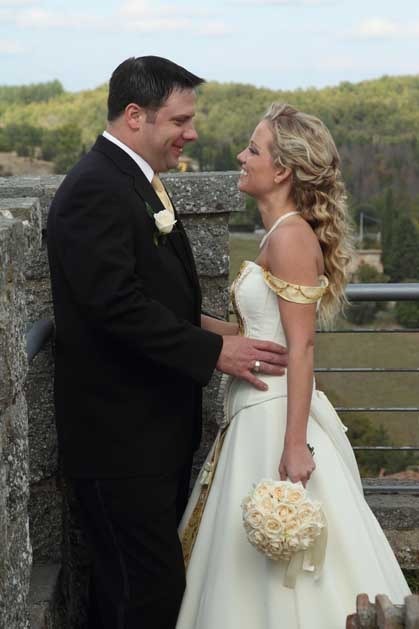 In Castellina civil weddings are performed in the antique Fortress in the little town centre. 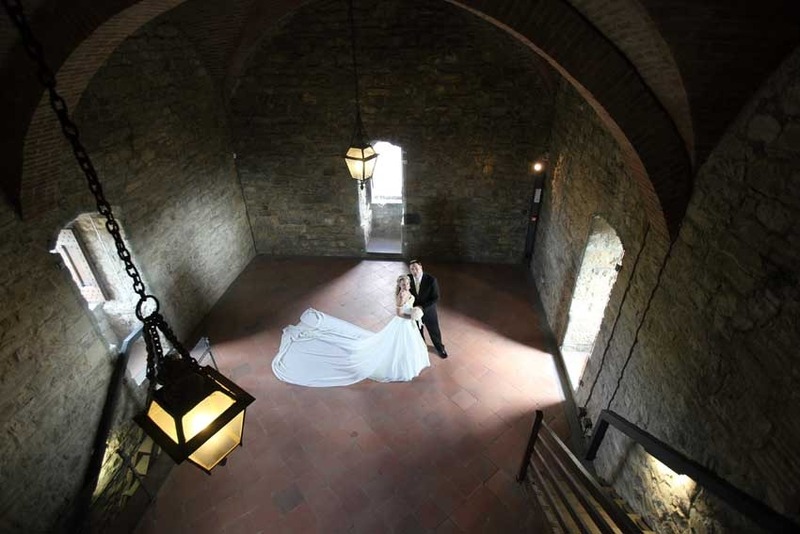 The medieval setting of the Marriage Hall takes you back to that age. 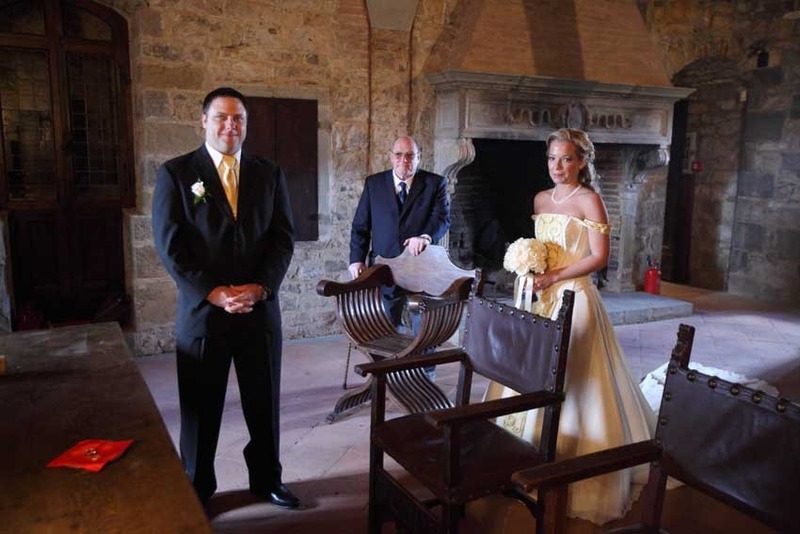 The marriage hall is in medieval style with stone walls and period furnishings. 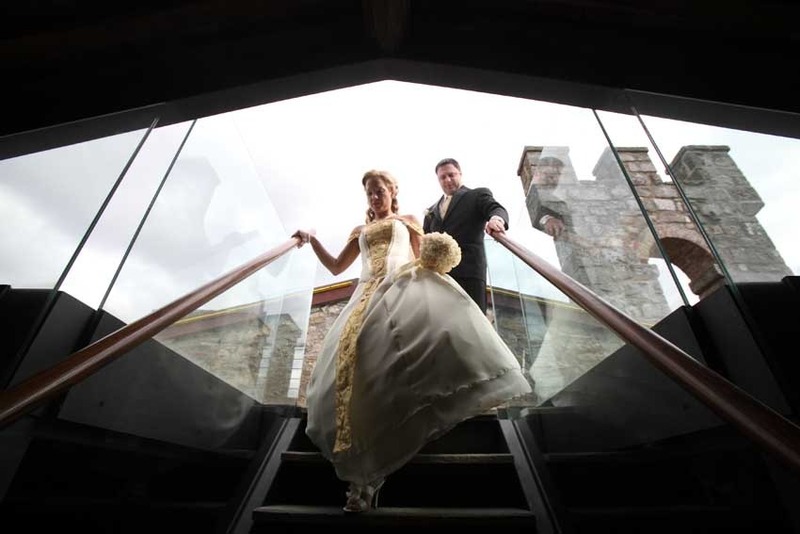 The marriage hall can hold small wedding events up to 40 people. 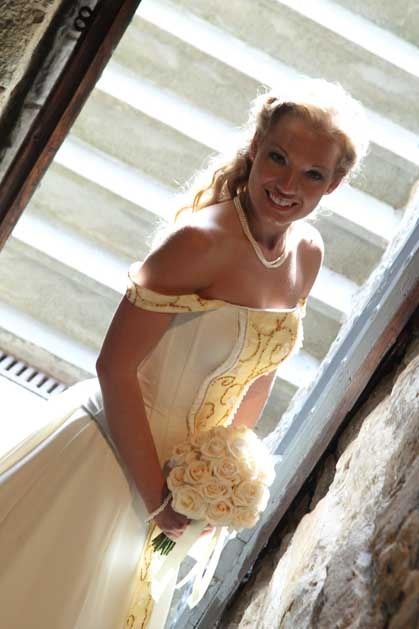 Wedding ceremonies are celebrated every day and no sworn declaration is required. 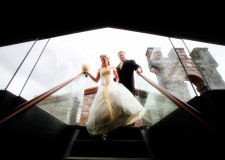 Couples who have booked their accommodations in town will pay a discounted fee for the use of the Fortress. During the ceremony music entertainment is an option, personal vows can be read after the rite and a nice photographic section can be held along the village streets, in the most romantic and picturesque corners. For the guests we can organize a vine and oil tasting in one of the many local farmhouses. We would recommend to visit this lovely location from April to October even if everything is open all year round.